Alternative Armies: VNT Undead and Monsters Fantasy Range released with Free Miniature and Offers! 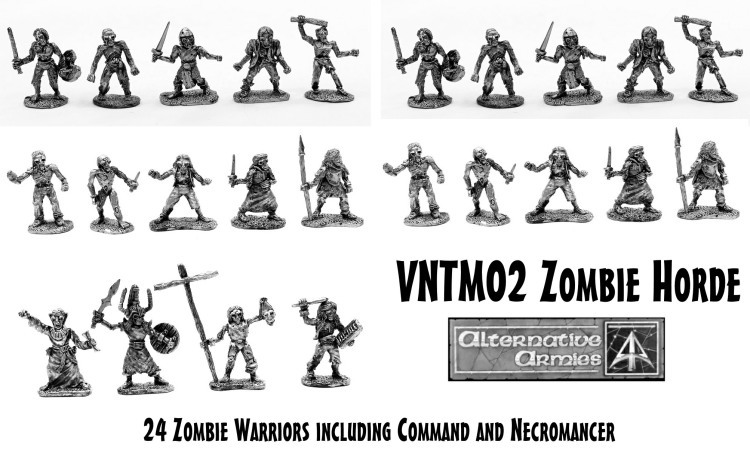 VNT Undead and Monsters Fantasy Range released with Free Miniature and Offers! Wow! 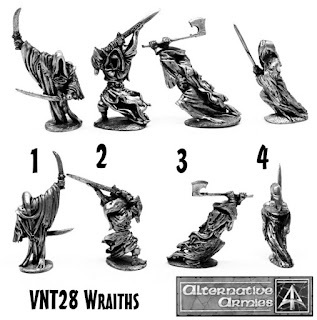 Alternative Armies has now completed a big task in getting the VNT (Various Nasty Things) Undead and Monsters part of our classic 28mm scale white metal high fantasy range re-released! 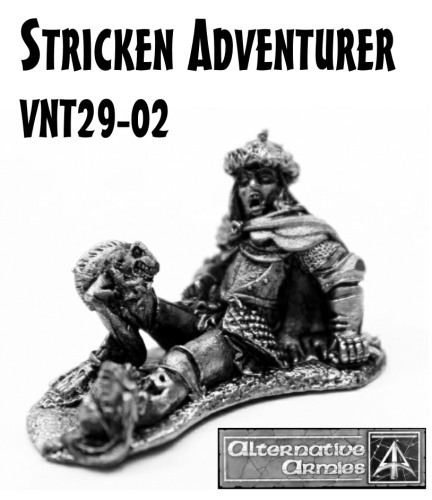 The VNT codes in production are now online as well as three big multitude packs.. 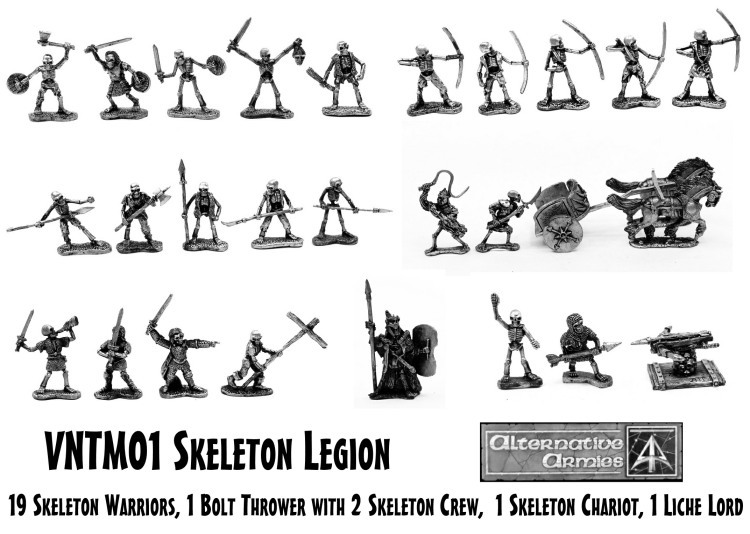 There are sixty five infantry miniatures, an artillery piece, a chariot, a flying wraith, ogres, trolls, demonic tree, grizzly owls and a fantastic Splendorous Djinn too! 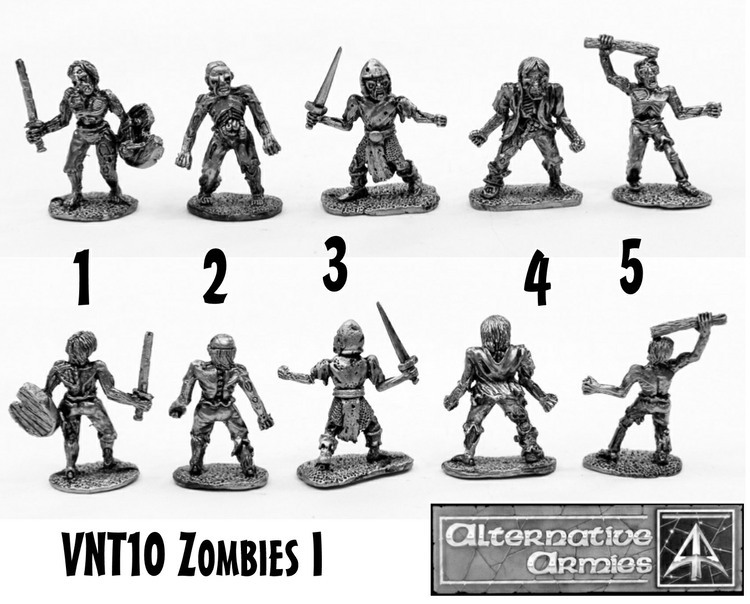 A lot to choose from covering monsters, skeletons, zombies, vampires, wraiths, lizardmen and more types. 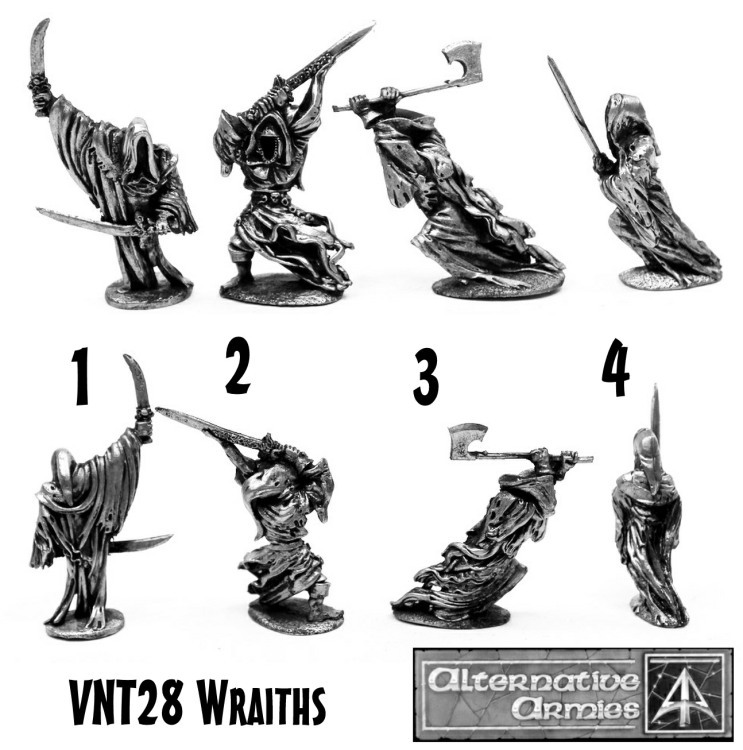 We also have some great select offers for you on the VNT range. These are valid until Valentines Day 14th February. Here we go! Go HERE and HERE. 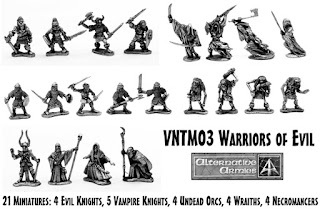 Every Order placed with us that includes one or more codes from our high fantasy range (VNT Undead and Monsters, DH Dwarves, OH Goblins, Orcs and Dogmen even Asgard Barbarians) from single miniatures to packs to multitudes or even our excellent Dwarf Runic Golem will automatically get a free miniature. 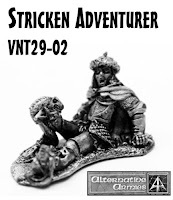 This free miniature is VNT29-02 Stricken Adventurer worth 2.00GBP. We have reduced the normal prices of several packs by 15% until Valentines Day. These are the VNT18 Orrid Ogres II, VNT19 Ogre Cavalry, VNT20 Anti-Paladins, VNT30 Undead Chariot and the mighty VNT32 The Splendorous Djinn. 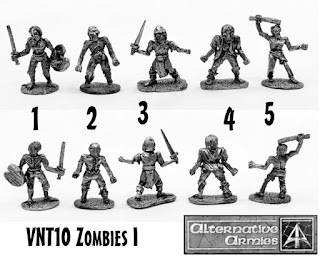 We have three multitudes that feature 10% off list prices for all the packs they contain. Plus if you order three of a multitude (using the drop down menu on the product page) you can save an additional ten percent meaning 20% off list prices! "We made a mistake when we failed to bury the fallen in deep corpse pits. A mistake that cost us all dear at Black Heart Lake. The army marched past the foul shores of that dead lake expecting to face only the fell lords and their minions. 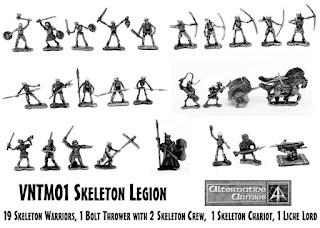 Little did we know that those evil doers had the services of a great Necromancer who had followed us and raised the dead. Corpse pits provide rich fruit and since this fruit had not been buried, only piled with those we had slain it meant that the army of the dead had caught up with us. On two fronts we split and I for my sins survived only by shedding my axe and mail and swimming the slimy waters of the lake. Even now I can hear the screams and the endless creaking and brittle motions of bones ending life. Dead sockets where eyes had once been."